In 2016, Chip and Pin will gradually be introduced in Malaysia, that means your Credit Cards now will prompt you for a PIN instead of signature during purchases. This will be a bit of a hassle, but it will be worth it, here’s what you need to know about it and credit card transactions in general. First off, a short primer on credit card transactions. In any business transaction, there are at least 2 actors involved, a buyer and a seller. In industry lingo we call them Merchants and Cardholders. These are important terms to remember, as we’ll use them extensively . But a card transaction is far more complicated and involves at least 3 more actors, some of which you may not even be aware off. First, we have the party that issued the cardholder their card, the ‘Issuer‘. If you have a credit card, chances are that credit card is tied to an line of credit issued by a bank, whether it’s HSBC, or Maybank, these are issuers, who have a relationship with the card holder. Then we have the ‘Acquirer‘. This is the financial institution that provides the merchant the ability to accept card transactions. Sometime this is as simple as just placing a card terminal on the merchant premise. The acquirer has a relationship with the merchant, and that’s why when you look at credit card receipts, they usually have a banks logo on them–that’s the acquirers logo. So far, we have the Issuer that issues the card to the cardholder, and the Acquirer that provided the infrastructure to the merchant, but how do we tie all of them together. Here the final actor provides a network that connects all acquirers to all issuers, they’re called Card Schemes. You know them by their names, VISA, Mastercard, Diners, JCB, Discover..etc. The schemes provide the ability to connect acquirers and issuers, so when you go a merchant, you only ask them if they accept Master or Visa, and not worry about the specific acquiring bank. Similarly the merchant places a “Mastercard accepted” logo on their premise, because if they can accept one Mastercard, they can accept them all. 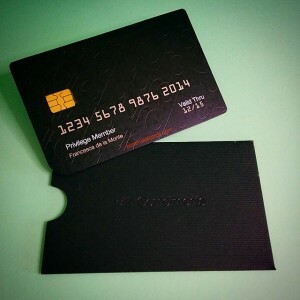 These 5 actors, the Cardholder, the Merchant, the Acquirer, the Issuer and the Scheme work seamlessly together to allow you to purchase goods and services using only a single piece of plastic we call a card. But what is a card? 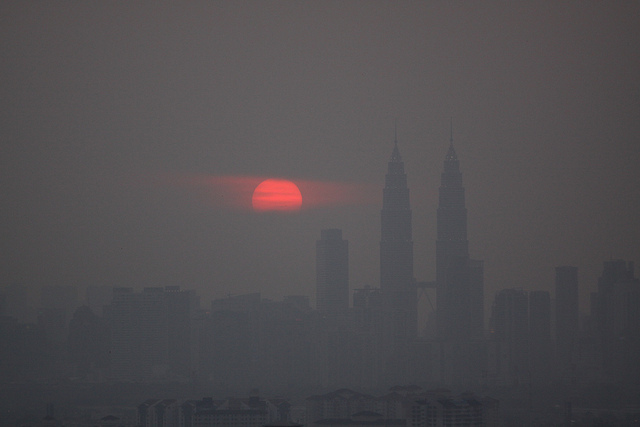 There’s been some controversy recently regarding the Air Pollutant Index (API) readings in Malaysia, with some even accusing the government of intentionally downplaying the readings. I intended to find out exactly how the readings were different, and as a glorified techie come wannabe programmer I decide to use a data approach to this as opposed to a theoretical one. In case you’re wondering what the theoretical differences are, check out this cool article from cilisos, otherwise keep on reading. At the crux of this issue, we first have to appreciate how API or PSI readings are calculated. Both take measurements of pollutants in the air, but only take the highest concentrated pollutant to give you the reading value. It’s hard trying to consolidate something as complex as air quality into a single number, and as a result a certain amount of ‘simplification’ is required. Theoretically, PM2.5 measures particulate matter up to 2.5 micrometers in diameter, while PM10 measures particulate matter of up to 10 micrometers in diameter, the Singaporean Government claims that PM2.5 is the main pollutant of concern during periods of smoke haze, and hence you’d expect PM2.5 readings to be higher than Pm10. But that’s theoretically, what about empirically? By now, you either know someone that’s been a victim of nasty malware or have yourself been on the business end of nefarious software. The perpetual duel between security companies and malicious elements in cyberspace has changed dramatically over time, and no change has been so dramatic as the rise of a new type of threat, a threat we call…ransomware!! 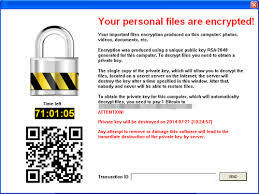 Ransomware is piece of nefarious code that infects your machine the same way any ordinary virus or spyware would. But what differentiates it from other threats is what it does after its infected a system. 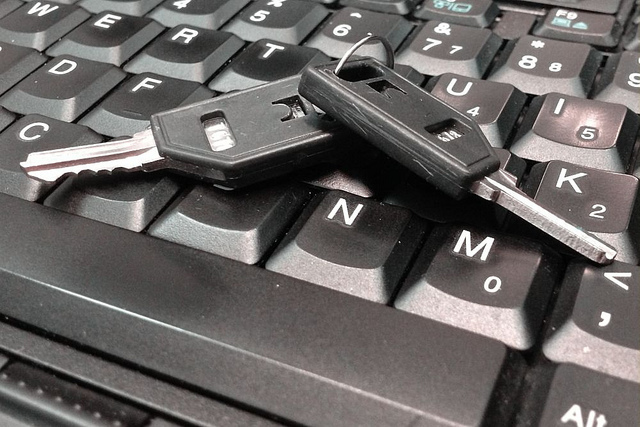 Ransomware immediately seeks out specific file types like Microsoft Documents, Excel Spreadsheets, digital pictures, all for the purpose of encryption. Different Ransomwares target different file types, but the idea is behind it is to seek out these files that are considered particularly valuable to the user, and one that a user would pay lots of money to retrieve if ever lost. These files are then quickly encrypted using ‘bank-level’ encryption ciphers making them un-readable to the user. Once the files are ‘safely’ encrypted, the user is usually prompted with the–Pay us money or never see your files again!! The famous (or infamous) cryptolocker, would request payments only in bitcoin, before the decryption key would be released to the user, the malware has kidnapped your files and the only way to get them back is to pony up the cash. In essence, cryptolocker held your files from ransom, in much the same way kidnappers hold kids for ransom in those hollywood movies, but unlike hollywood this is real, and the one and only way to get back the files is either pray for a miracle, or make the payment. Not to beat a dead horse now, (you can read my previous articles here and here)but I’ll say it one last time, internet speeds aren’t exactly what we should be debating over these days. We should focus on internet penetration rates, and broadband penetration, and define these correctly. The MCMC defines broadband as anything over dial-up. Which is stupid, because a 128kbps ISDN would be considered broadband, but certainly it wouldn’t feel like broadband to any user. It would crawl. But at the same time, you can’t set the number too high to something like 100Mbps because what would you be able to consume at that speed which you wouldn’t at 5Mbps, in other words why would you need 100Mbps instead of 5Mbps, and what you actually mean by the term broadband? So the question becomes, how fast is fast enough? 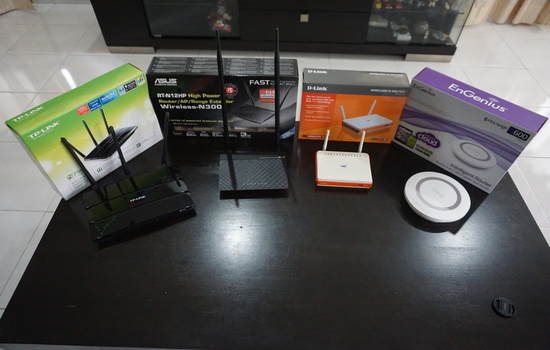 What bandwidth is sufficient for the average Malaysian to enjoy the internet at the same level as anybody else. A lot of people buy a car without caring about the cars top speed, because very few people actually push the car to it’s top speed. Why isn’t it the same for internet bandwidth? The simplest definition of a hacker, is someone who breaks systems. We tend to equate systems to computers, but that’s a limited definition of the term. A system can also refer to a legal system or a set of processes that have nothing to do with technology. For example, lawyers often hack around the law, looking for loopholes to exploit to give them an advantage in their case. A good lawyer is expected to work within the legal system of a country, but still try to bend it a wee bit for their clients. He’s not breaking the law, merely hacking it for his own good. In the technology world, we sometimes define hackers as those to attempt to gain un-authorized access to computers, in other words an attacker that’s able to circumvent security measures of a server to gain access. This bypassing of security measures it what makes a hacker–but how does it reflect in a legal context?